Our expert technicians travel locally, nationally, and internationally to perform nondestructive testing on a wide variety of materials and structures. SSS' testing lab is equipped with the latest and most advanced equipment. Many industries rely on our technicians to perform one or multiple methods on various materials, components and weldments. Our reliable findings are accurately documented according to Codes and Standards giving you peace of mind or information needed to take corrective action. A thorough and stringent audit is conducted to maintain our AS 9100 Rev. D / ISO 9001:2015 accreditations annually. 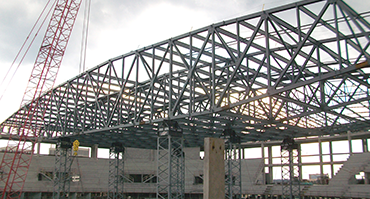 Our expert technicians travel locally, nationally, and internationally to perform nondestructive testing on a wide variety of materials and structures. Whether you call us to inspect tanks, bridges or pipelines; SSS is known for arriving on time, performing the right test and producing fast and accurate reports. 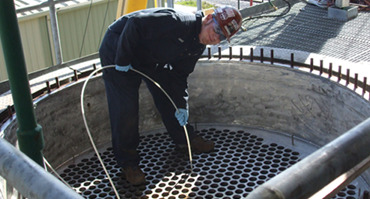 Our field service team offers traditional and advanced NDT inspection methods. The following methods are performed by certified technicians in the field or in the lab.